What a magical art journaling page from Jenn Dubell! 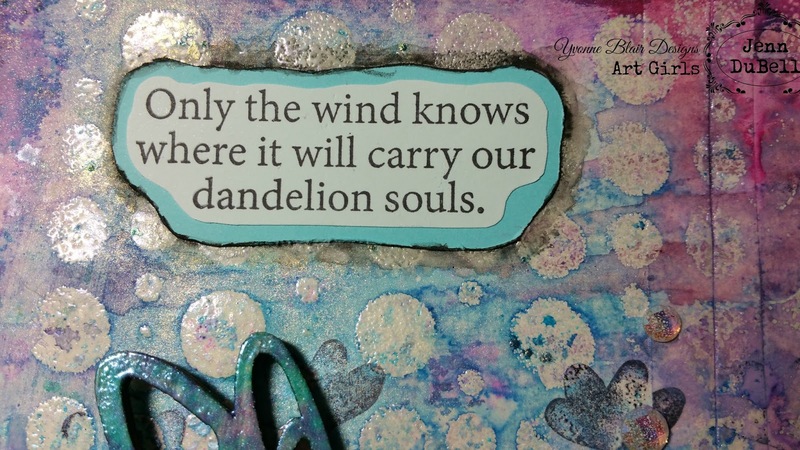 Love all the texture, colors and the message!!! Hello everyone, Jenn here! 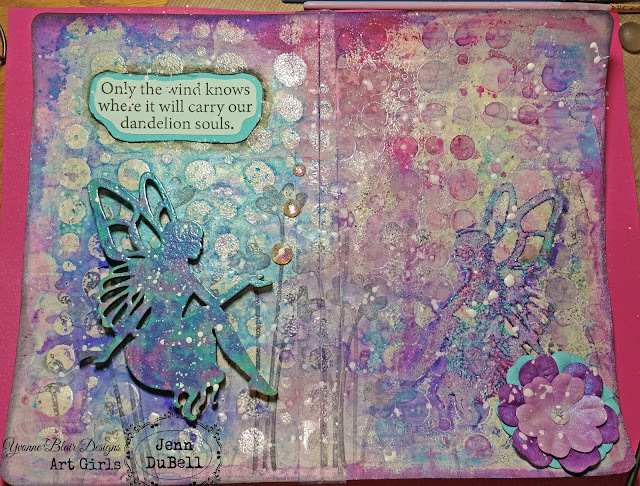 I am back on the blog today sharing another Art Journal spread I created with some of Yvonne Blair's amazing stamps! 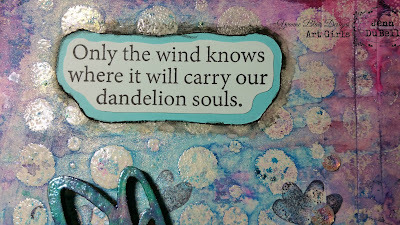 For this I chose the "Only the Wind" and "Three Flowers" stamps. I started Art Journaling only a few months ago and have found that it is a very peaceful outlet. 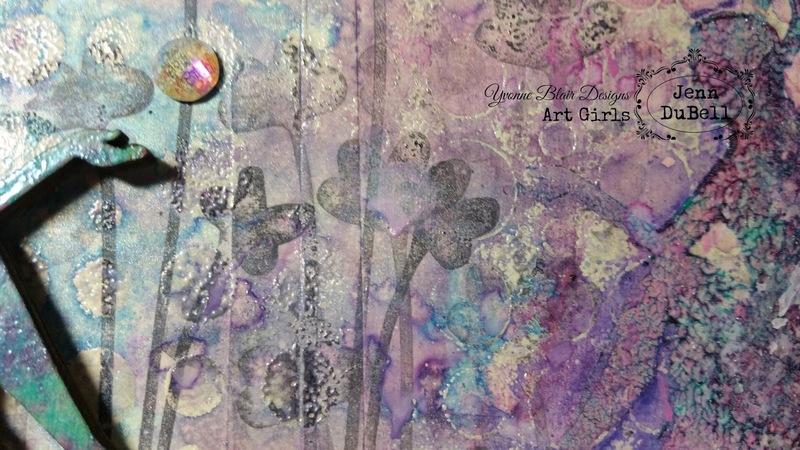 There are so many ways you can create beautiful pages combining stamps, stencils, mediums and of course wonderful sentiments such as this one! 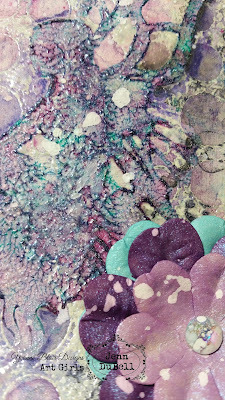 For more details how I created this layout please visit my blog here. I hope you have enjoyed my post! I'll be back soon with more inspiration!